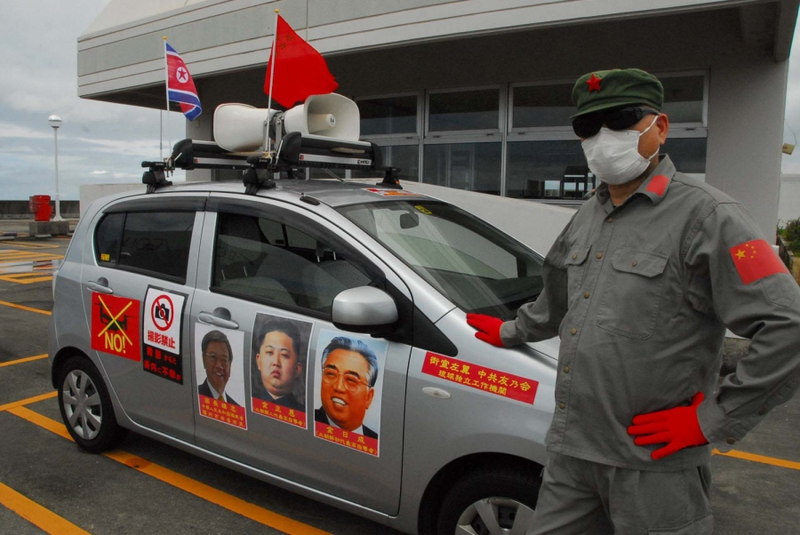 Kiyotaka Itaya, a 65-year-old retiree and member of the Council to Create a New Japan Constitution, wears the Chinese military fatigues and stands beside the car his group uses to stage fake anti-U.S. military and pro-China protests on Okinawa. 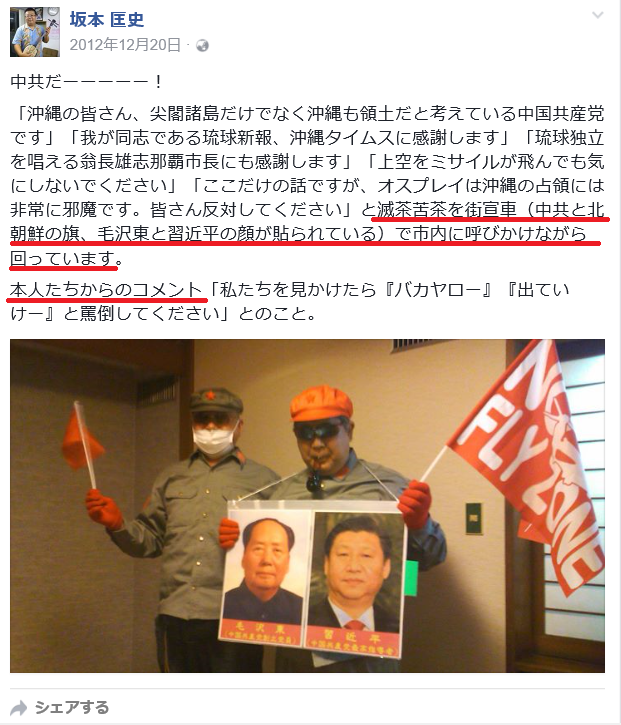 Kiyotaka Itaya, who was in the slogan-blasting car, calls that protest and other recent extremist pro-China and pro-North Korea demonstrations on Okinawa the “curveball” tactic. 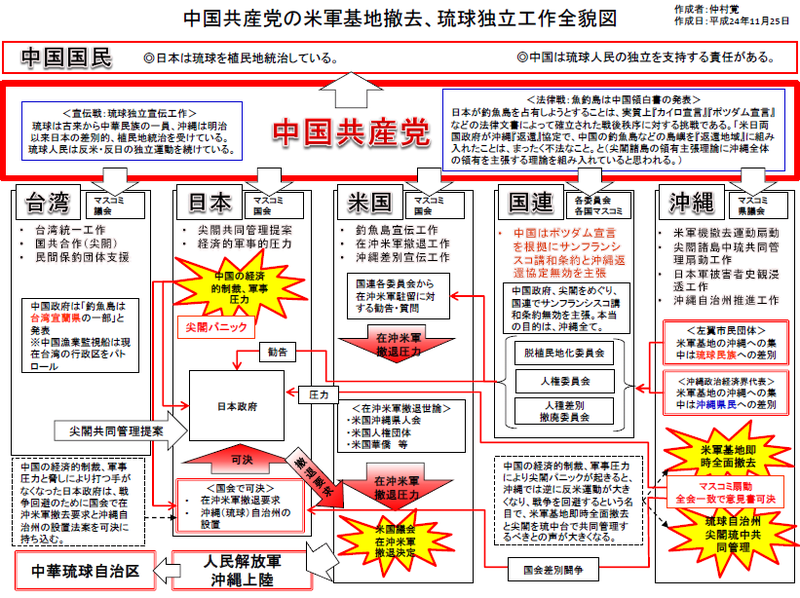 The 65-year-old retiree actually belongs to a pro-U.S. military, nationalist Okinawan group called the Council to Create a New Japan Constitution. 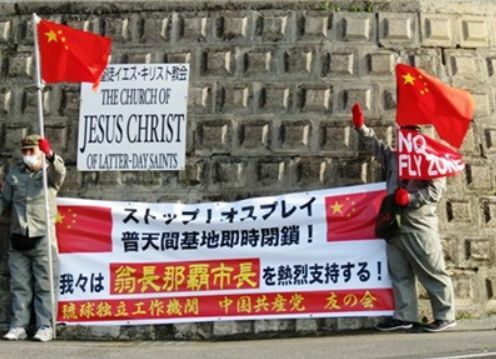 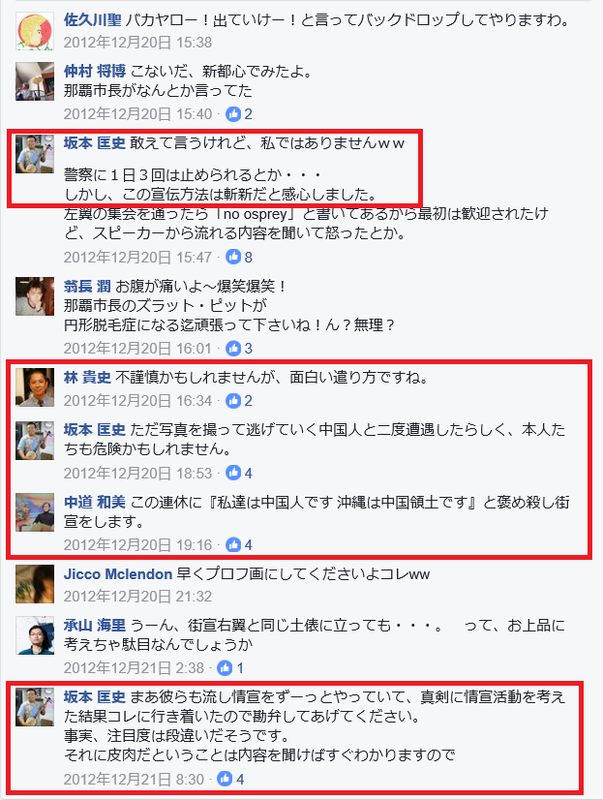 He and 20 other group members stage the fake leftist protests amid real demonstrations, hoping to undermine the anti-U.S. military movement on the island and repel more moderate Okinawan activists by associating the opposition with China and North Korea, Itaya told Stars and Stripes.